Flash freezing helps greatly with portion control. No more “I’d hate to waste all these cookies. I’d better eat the whole dozen”. Gosh darn it. If you shape and flash freeze your cookie dough, you can bake up smaller batches and keep the rest in the freezer for later. It also allows you to defrost exactly the amount of meat you need on any given night for dinner. Do you ever have those nights you planned for six and end up with just three? This is a common occurrence in my house. I also LOVE to flash freeze homemade pancakes, waffles, and French toast to have on hand in the morning for a quick and easy breakfast. I believe Boy #4 could drink his weight in smoothies so when I see a good price on berries or other fruits at the peak of their season, it’s time to get to work. There are more intensive methods you can use, and some fruits freeze and thaw better than others, but berries flash freeze beautifully! 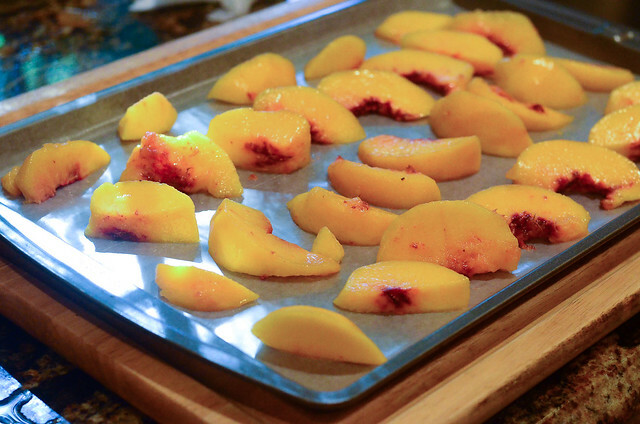 I’ve also had great success using this easy method with peaches and mangoes. We make our smoothies by throwing frozen fruit directly into the blender without thawing and flash freezing works perfectly for almost any fruit when used for this purpose. 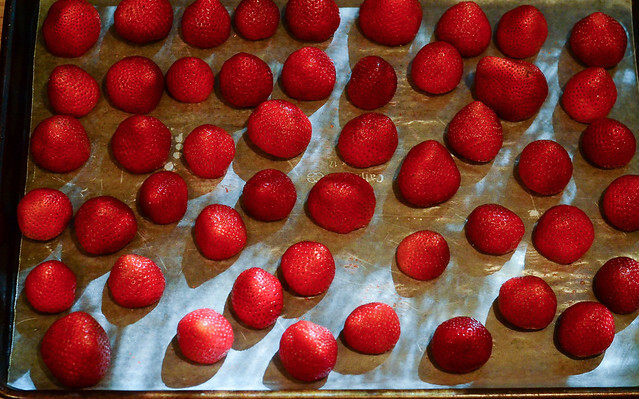 Rinse your strawberries and then transfer them to paper towels to drain. Peek-a-boo! 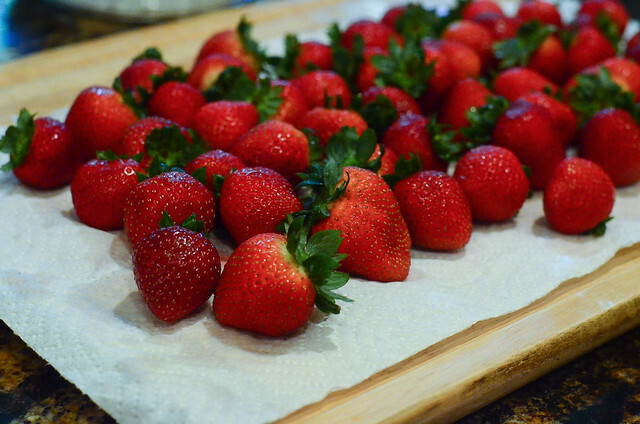 Blot the tops of the berries with paper towels to remove as much moisture as possible. You don’t want them going into the freezer wet or ice crystals will form. 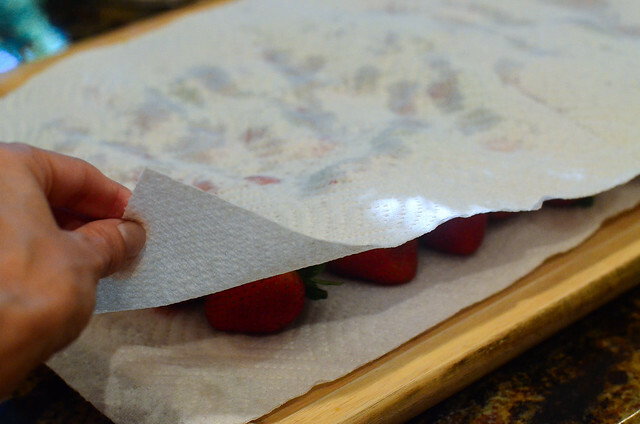 Slice off the green stem ends and place the strawberries on a wax paper lined baking sheet. 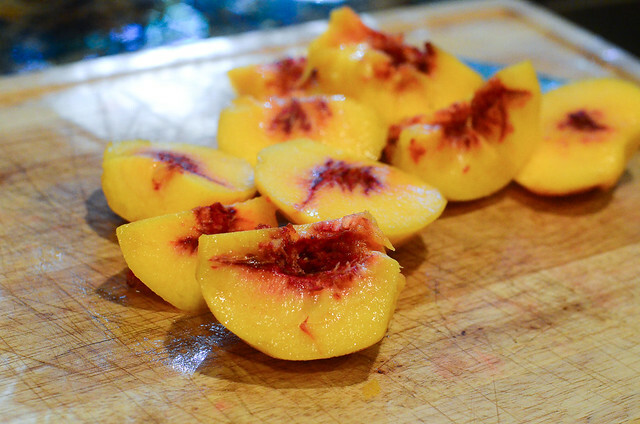 On to the peaches. 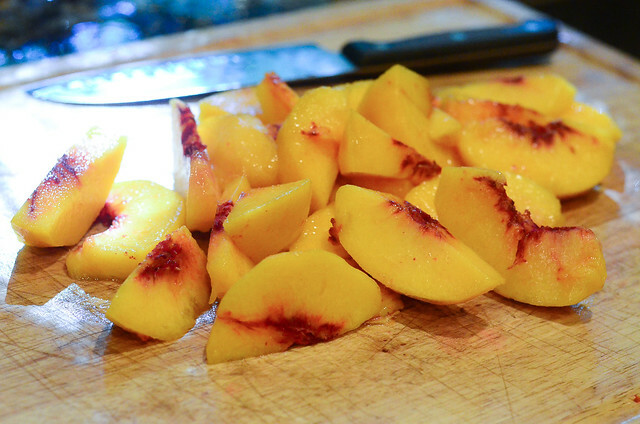 Peel and pit them. 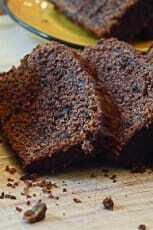 Set them on a wax paper lined baking sheet, making sure there is a little space between each slice. 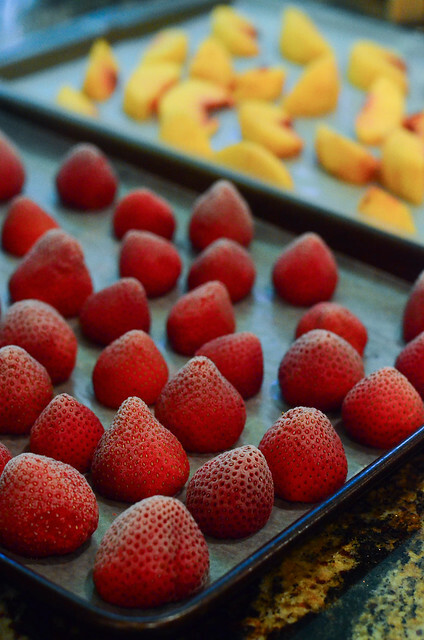 Transfer the baking sheets to the freezer for at least a couple of hours or more, until the fruit is frozen solid. Just shove that baking sheet in anywhere it will fit. Mine fits comfortably on top of my vacuum sealed meats. 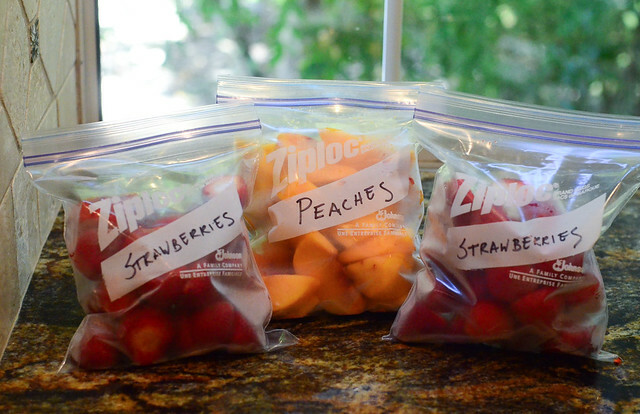 A few hours later you will have perfectly flash frozen fruit ready to be packaged up. 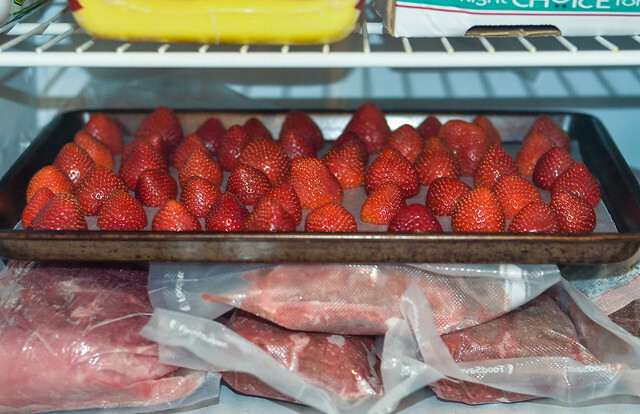 Store flash frozen items in freezer safe plastic storage bags or any other airtight, freezer safe containers. Always defrost frozen items in the refrigerator or microwave, not on your kitchen counter. This is especially vital for meats and other perishable items. 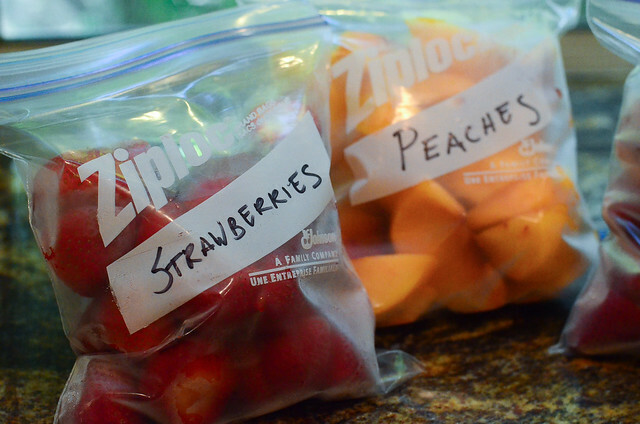 For the best quality, you should use most frozen items within three months, except for berries. They will be happy in your freezer for six months or more. Thanks for sharing these awesome ideas and helpful tips, Valerie! This is a great tip! 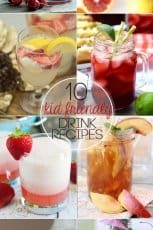 We can enjoy summer fruits this way! Thank you for sharing! Can you do this with vegetables as well?? Whenever I freeze fruit (especially strawberries), it just turns to mush when thawed 🙁 🙁 ???? Hi Rhonda. 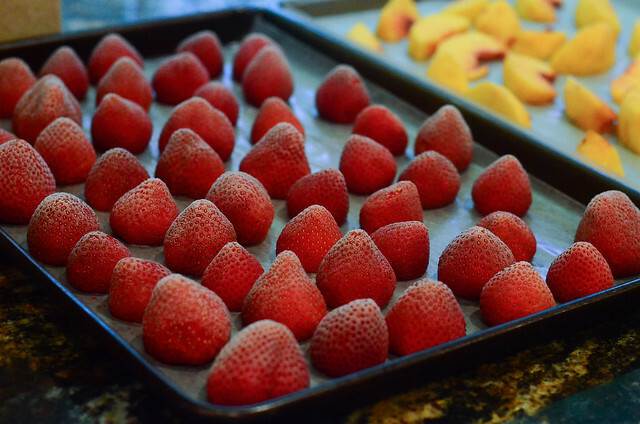 Frozen fruit will not retain the exact texture of fresh when it is thawed but typically berries will fare the best. 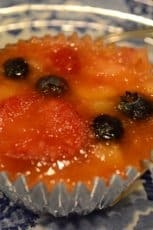 The method is perfect for fruit you want to use in smoothies or to bake into pies or other desserts since the thawed texture is unimportant for these uses. How can I flash freeze cube steaks if I don’t want to cut them up into “fingers”? Should I dust them first with flour or bread crumbs? Hi Nancy. 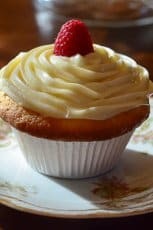 I would remove them from the store packaging, place them on a foil or parchment paper lined baking sheet and freeze until solid. Then they can be placed in freezer bags and returned to the freezer. I don’t think there is any need to dust them in flour.